It's been a very hectic week both at work and away from it. I still feel like I'm trying to get my year started (as I had a bit of a hiccup due to having to buy a new vehicle last month). But in spite of all the busy hours I still managed to find some time today to go to the antique show with my mom and nephew. I could go to this show with a completely empty wallet and have a blast. I love the window shopping - and spending time with my mom and nephew is just flat out fun. We had a great time and saw some neat stuff. I'll share that with you all another time. Tonight, I got home and was doing a little tidying up in my office and decided to pull out a collection that hardly ever gets any of my time anymore. It's likely the most passive of pc's I have and the best part is that I don't have to spend a penny on it. When I pulled the collection out of the closet I immediately saw a set that shot me back at least 2 decades. Would anybody care for a refreshment? 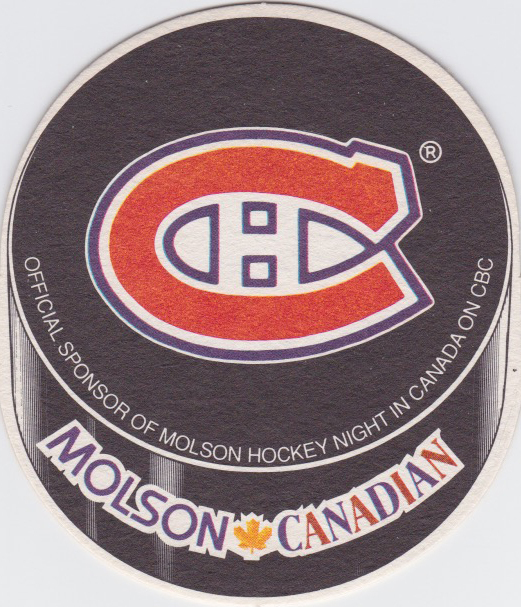 Who remembers these Molson Canadian NHL beer coasters from the (I want to say) 1994 season? I certainly do. I was out of high school and trying to figure out what I wanted to do with my life. 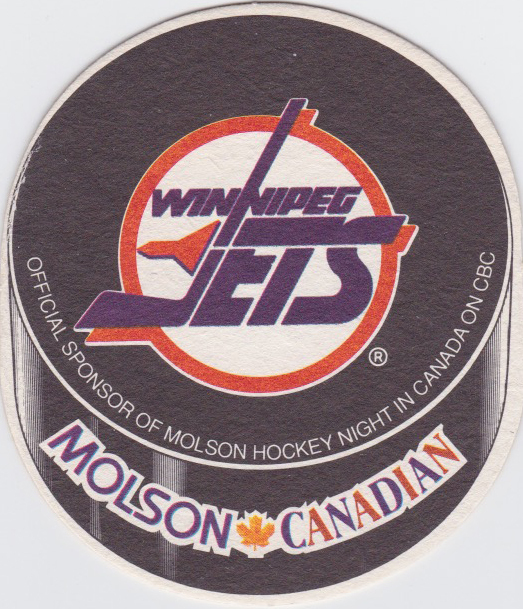 I spent a lot of time hanging out with buddies at Don Cheery's Sports Bar in Calgary. 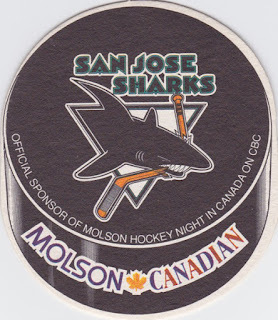 It was the first sports bar I went to on a regular basis and watched many....many hockey games there. 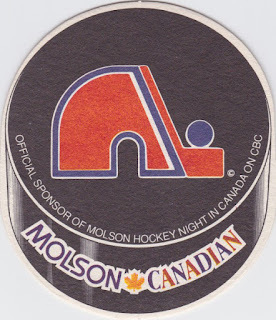 These beer coasters were released and I remember looking like a fool going from table to table, bar to bar at Don Cherry's looking to complete the 26-coaster set. Took me just one evening to get them all. I tend to snag a coaster at every bar or restaurant that has one (and normally grab two just in case the flip side is nice). It's a great reminder of the places I've been and horrible beer I used to drink....Molson Dry was my beer back in the day. Ouch. 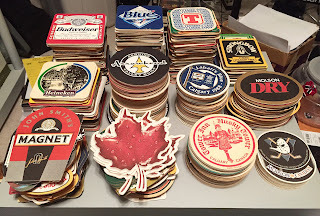 After a number of years I decided to pick some coasters up when I saw them cheap at a garage sale or antique show (so I can't claim that this is a completely free excursion) but rarely do so now as it really isn't worth it. That said, I keep an eye out when I'm at a place or event that might have them. I definitely take advantage of it if the situation presents itself. I did a count tonight (as it's been a few years since I organized them) and have 578 unique coasters. 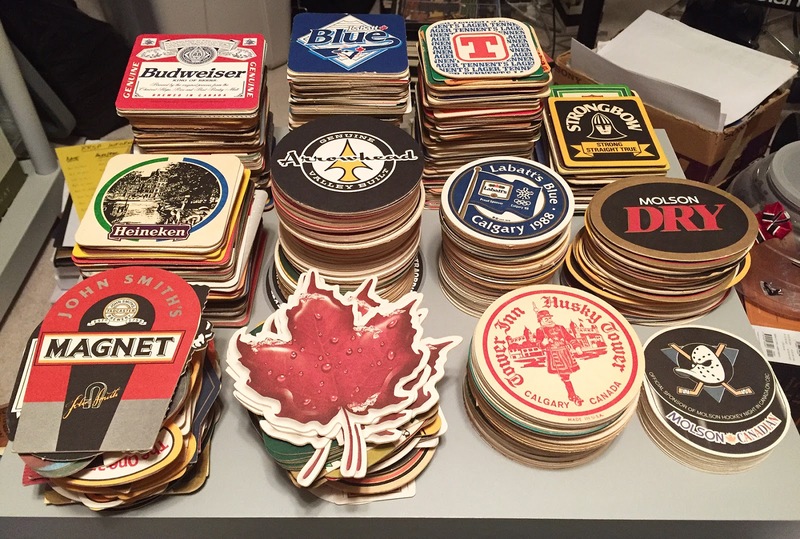 I have an additional 196 doubles/extras for a grand total of 774 beer mats. I remember seeing a cool bartop long ago....I can't remember where (some pub) and it had a glass top. Underneath were what looked like hundreds of different coasters. I thought it was a cool idea and still envision a final end spot for all of these. Until then, I'll continue to have fun with this collection. Now, let's take a closer look at some of these team logos. Gotta start with my Canucks. Oh do I ever remember those wonderful days in the mid-90's. So many great memories. Yeah.....this is one that takes me back. Love this logo and wished the team never moved to Carolina. 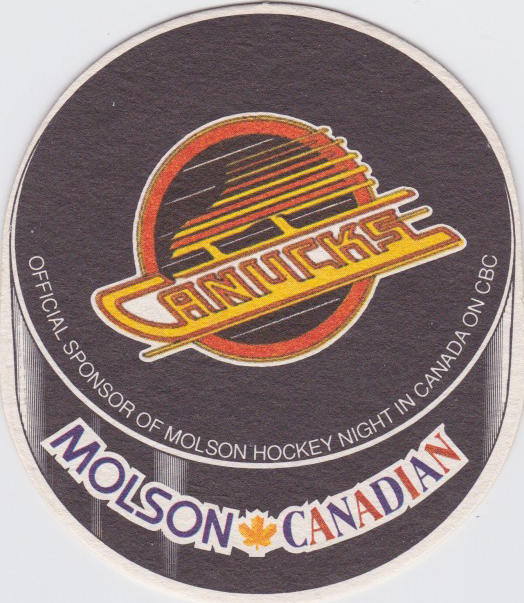 Another iconic logo from days gone by. This was just prior to the move to Colorado. This Senators logo looks so old now. 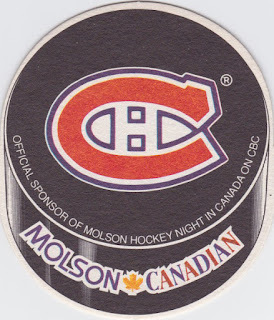 But I remember when the team came into the league....and the Alexandre Daigle experiment. Don't really need to say anything here. The best of things never get old. 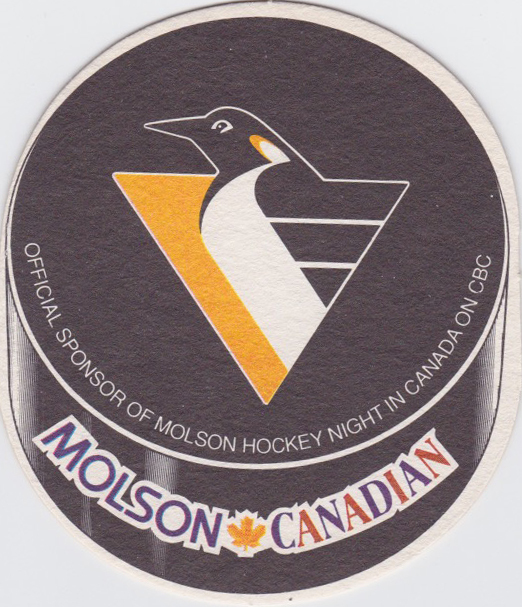 I never really cared for this Penguins logo. 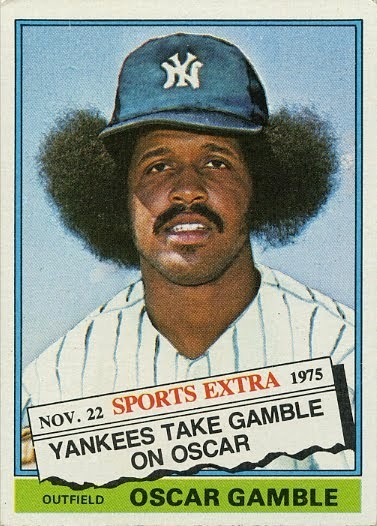 I'm glad they didn't stick with it for too long. 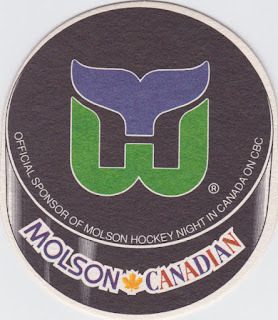 That said, this logo definitely reminds me of their early 90's dominance. Hard to forget that. Hoo boy.....another great early version of a logo. 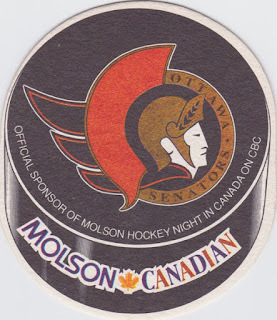 Those new logos at the time (Ottawa, San Jose, Tampa Bay, Florida) just seemed so out there in comparison to the simple 21-team league I grew up with as a kid. 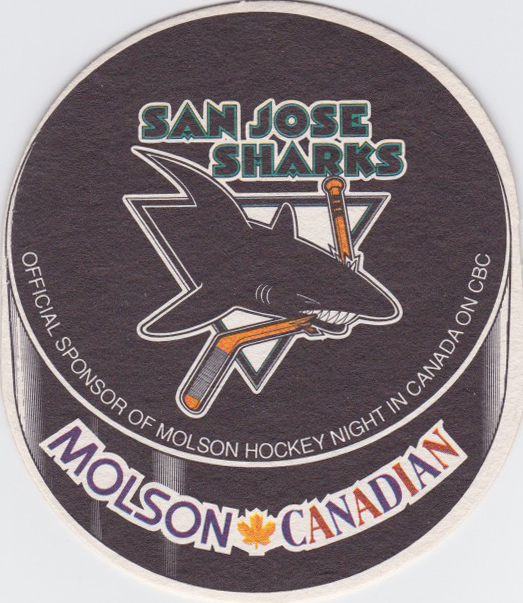 Having this set in my collection (hockey and beer coaster) really gives me great satisfaction - and a lot of great memories. And at the end of the day, that's what these little nuggets of stuff we pick up or buy should do. 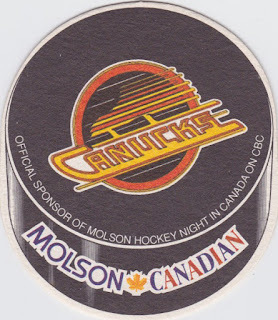 Spending time tonight going through all those old beer coasters really jolted my brain and got me pretty nostalgic. Good stuff. Very nice! But, I think that's at least Jets version 2.0! 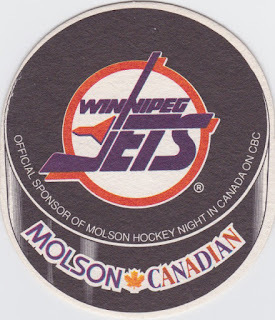 ;-) More if you count the old WHA days.